Seek out the rarest masks for the countess! Seek out the rarest masks for the countess!Become a real detective of the "Ancien Régime" and visit renowned carnivals to form a collection of unique masks. The most beautiful places of the world will spin you around in the melodies of carnivals and leave you with indelible impressions of visiting these famous festivals! Complete 120 unbelievably entertaining levels and spend more than 8 hours traveling around the most amazing places of our world. 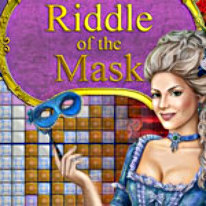 Original puzzles and a unique 18th century atmosphere will be sure to touch your heart! -More than 8 hours of gameplay. -An enchanting 18th century carnival atmosphere!